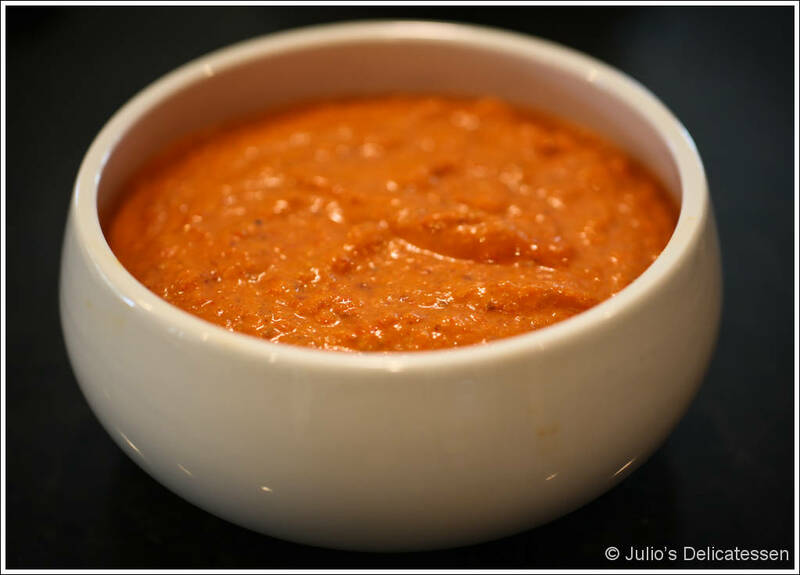 Romesco is a classic Spanish sauce made with almonds, garlic, peppers, and any number of other ingredients. It is easy to make, stores well, goes with a wide variety of items, and is surprisingly good for you. This weekend I served it with grilled beef tenderloin and scallop skewers, but it would also go well with grilled vegetables, chicken, etc. Preheat oven to 375 degrees. 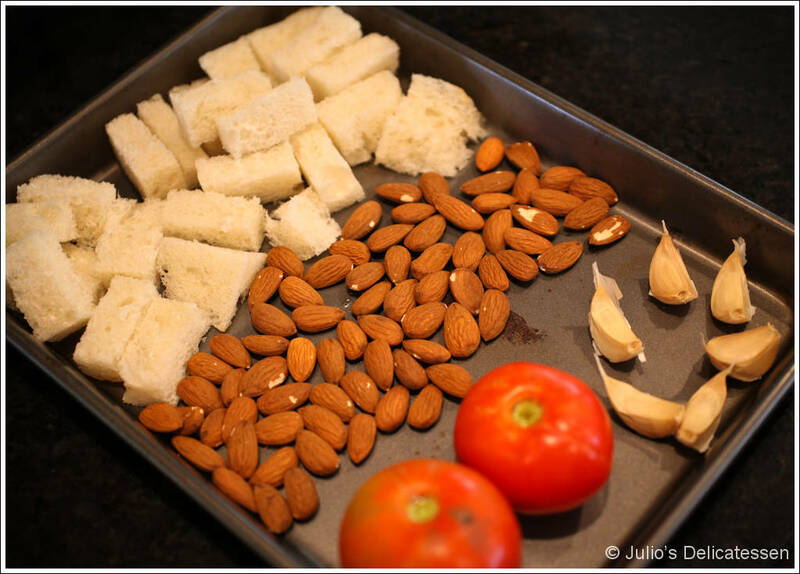 Place the tomato, garlic, bread, and almonds on a baking sheet and place in oven. Roast until almonds are just beginning to brown, about 10 minutes. Remove the almonds and bread and place the tomato and garlic back into the oven for another 20 minutes. Remove from the oven and remove the skin from the tomato and the garlic cloves. 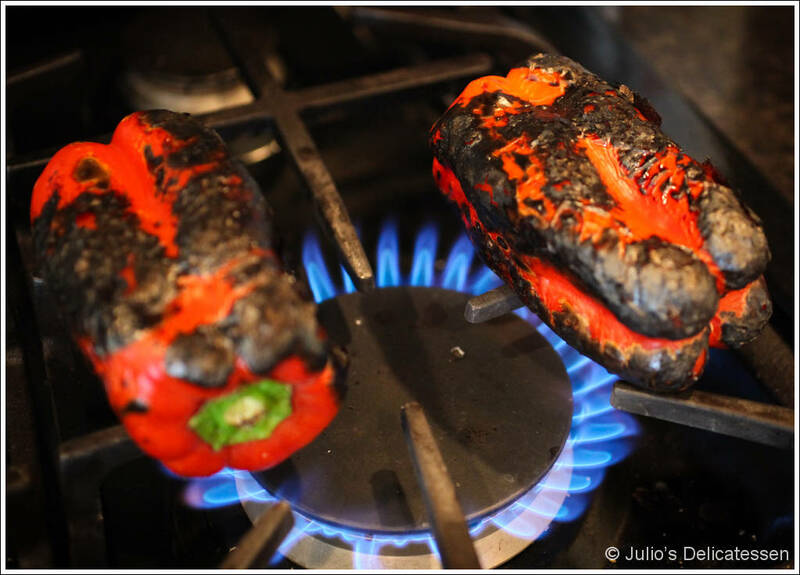 While the tomato and garlic are roasting, roast the peppers over an open flame on a gas stove. (Alternatively, you can wait until the tomatoes are roasted, turn on the broiler, and roast the peppers under the broiler. The goal is to get the skins charred.) Place the peppers in a plastic bag and allow to rest/steam until cool enough to handle. Remove the skins and seeds from the peppers. Place all of the ingredients into a food processor. Process until nearly smooth. 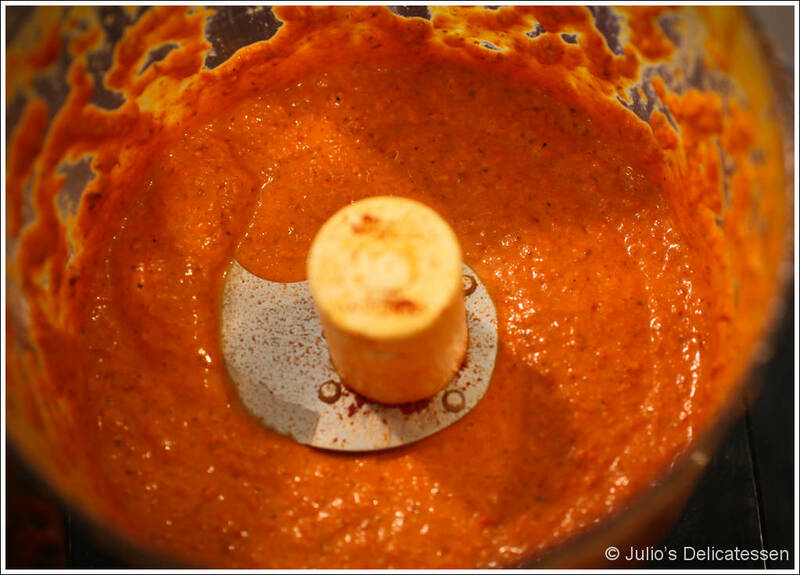 Taste the sauce and add more salt or cayenne if necessary. Cover and refrigerate until ready to use. Can be made up to 5-7 days in advance. Do you warm the sauce for serving or does it do well served cold? @Angie – I serve it cold or room temperature. No need to heat it.